When police raided a flat in West London in October 2005, they arrested a young man, originally from Morocco, called Younes Tsouli. They had no idea, at the time, just how significant he was. From his bedroom on an ordinary road in Shepherds Bush, he had become one of the most notorious cyber-jihadists in the world. The story of Younis Tsouli, or Terrorist 007 as he styled himself, reveals how virtual terrorist networks can emerge out of sight of the authorities and not only radicalise the young online but also help them carry out terrorist attacks. Tsouli had begun browsing the web for extremist material but quickly became much more than an observer. He took on the user name of Irhabi 007 - Irhabi meaning Terrorist in Arabic. He began posting advice on hacking and uploaded extremist propaganda but soon began to try to help those planning attacks. "He was explicitly looking for home movies from US soldiers that would show the inside of US bases in Iraq, so they could do a better job at launching attacks into those bases," explains Aaron Weisburd, a private cyber-tracker based in the US who watched Tsouli closely. Extremists also began to recognise Tsouli's skills and his potential. 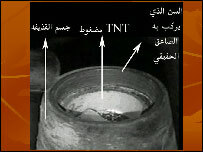 As Iraq descended into violence, al-Qaeda's leaders there contacted Tsouli. They asked him to build websites and run web forums for them and soon he became the main distributor of video material from al-Qaeda in Iraq. "Over the space of only two years, he become the undisputed king of internet terrorism," explains cyber-terrorism consultant Evan Kohlmann. He also became first a moderator and then the administrator of one of the most important extremist websites which facilitated contacts between thousands of individuals. "He... provided a link to core al-Qaeda, to the heart of al-Qaeda, and the wider network that he was linking into through the internet," explains Peter Clarke, the head of the Metropolitan Police counter-terrorism command. Tsouli's websites were being shut down either when hosts realised they had been hijacked or when cyber-trackers or officials spotted one of Tsouli's own sites and shut it down. This meant that Tsouli had to continually set up new websites to host the material. This required money. And here he was helped by two other associates, also arrested in October 2005. They were Waseem Mughal and Tariq Al-Daour. Al-Daour was the money man. On his computer drives police would find 37,000 credit card details, including security codes. These had been stolen in phishing attacks or purchased in on-line forums where stolen information circulates. Innocent people who thought they were simply following a link to verify their account information were unwittingly helping the group fund their terrorist activities. Police identified more than 2.5m euros worth of fraudulent transactions carried out by him. Another remarkable aspect of this case is that there is no evidence Tsouli and Al-Daour ever met in person. They were connected through cyberspace, as so many others were in the broader network. Conspirators no longer need a physical sanctuary in which to meet: they have found it on the web. 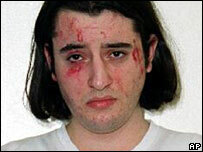 Tsouli was eventually caught because of his links to a terrorist plot. Two men travelled from Scandinavia to Bosnia in October 2005 to carry out an attack. But they were under surveillance. When they were arrested, their phone records revealed contact with a man in West London. The Metropolitan Police were alerted and raided the address, arresting Tsouli. It was only weeks later as they examined his computer records that they realised they had captured a major player in the world of cyber-terrorism. For British police, the Tsouli case was a watershed. "What it did show us was the extent to which they could conduct operational planning on the internet. 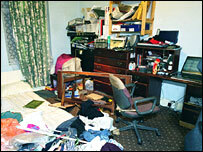 It was the first virtual conspiracy to murder that we had seen," explains Peter Clarke of Scotland Yard. The evidence against Younis Tsouli and his co-conspirators was so overwhelming they pleaded guilty to incitement to commit acts of terrorism on the internet. He is now serving a 16-year prison sentence at Belmarsh High Security Prison in London, where he is denied access to the internet. Tsouli may be behind bars but the number of extremist websites is growing by the day. The fear is that the story of Terrorist 007 may have been a warning of a threat that is still out there and that is still growing.